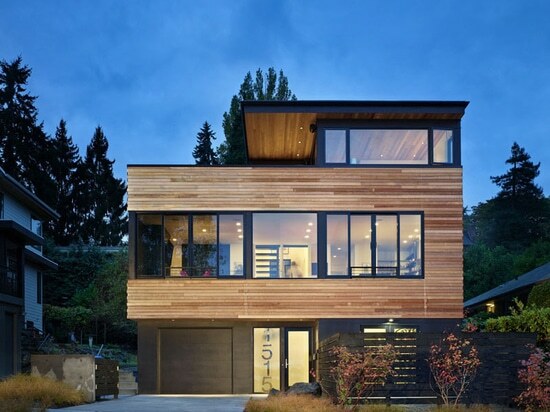 chadbourne + doss architects have designed the Cycle House, a new ground-up urban infill residence that’s strategically located at the intersection of two major bike routes in the Mount Baker neighborhood of Seattle. 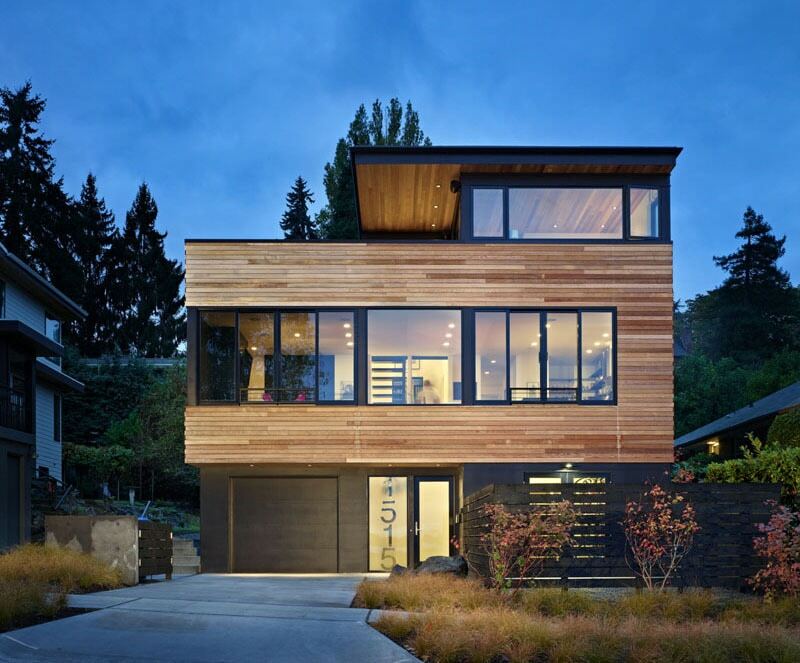 The exterior of the home features clear, unfinished Western Red Cedar, that’s been combined with painted Hardiepanel siding. 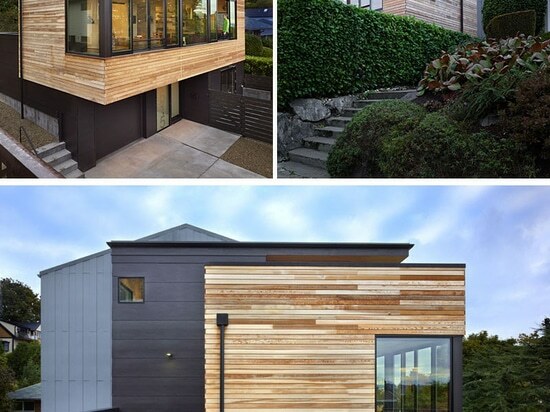 The natural finish of the cedar will grey over time. 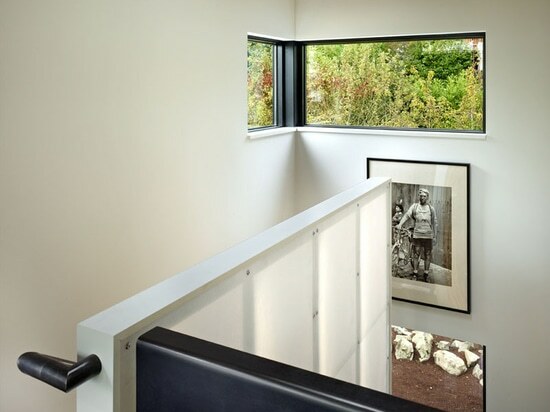 The clients, who are avid cyclists, wanted a home that would not only have storage and maintenance space for their 18 bicycles, but would also be fun for entertaining. 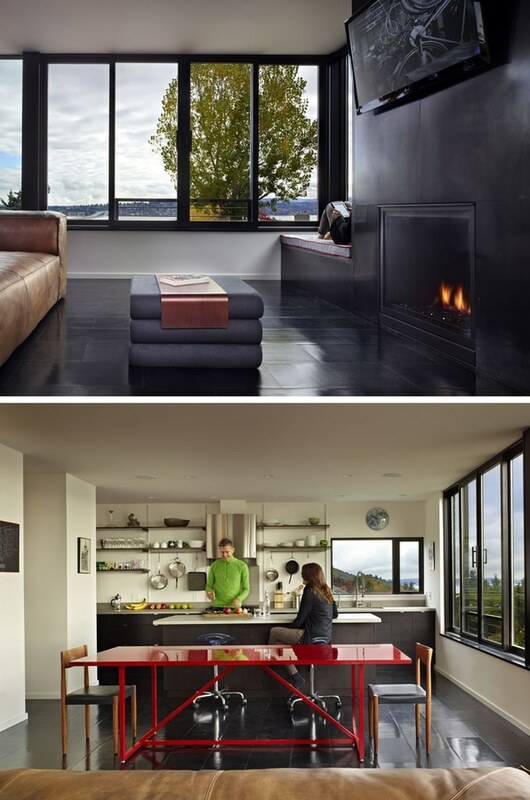 The social areas of the house are open plan, with the living room, dining, and kitchen all enjoying the views from the windows that line the wall. 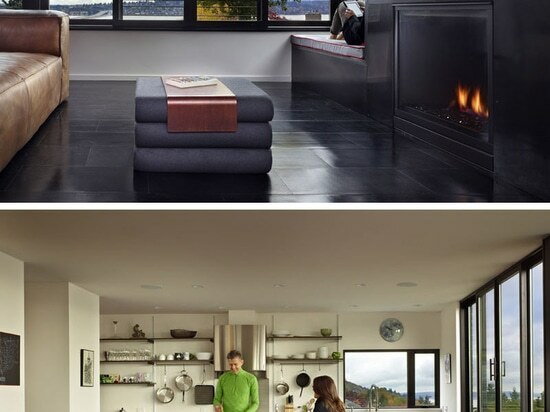 Beside the fireplace in the living room, there’s built-in window seat with an upholstered cushion. 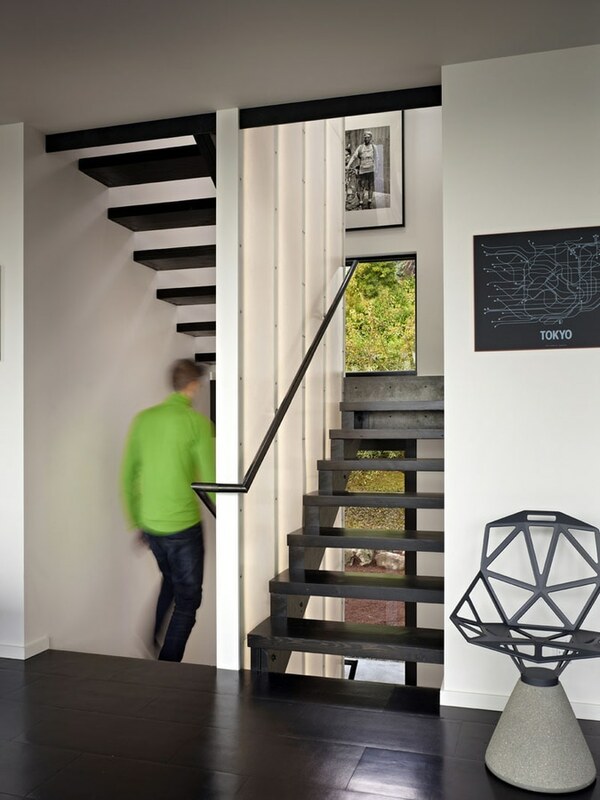 Stairs connecting the various levels of the home, and have been created using reclaimed wood and steel. 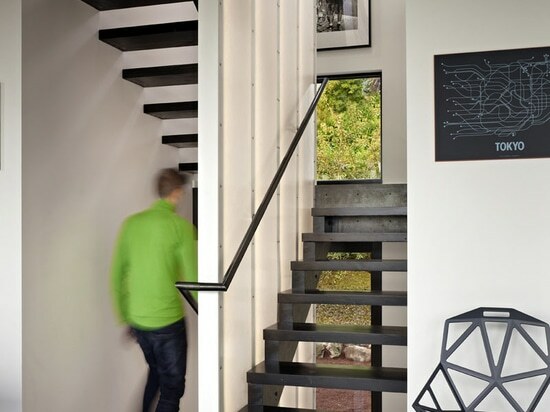 The stair winds around an interior wall of backlit translucent fiberglass. 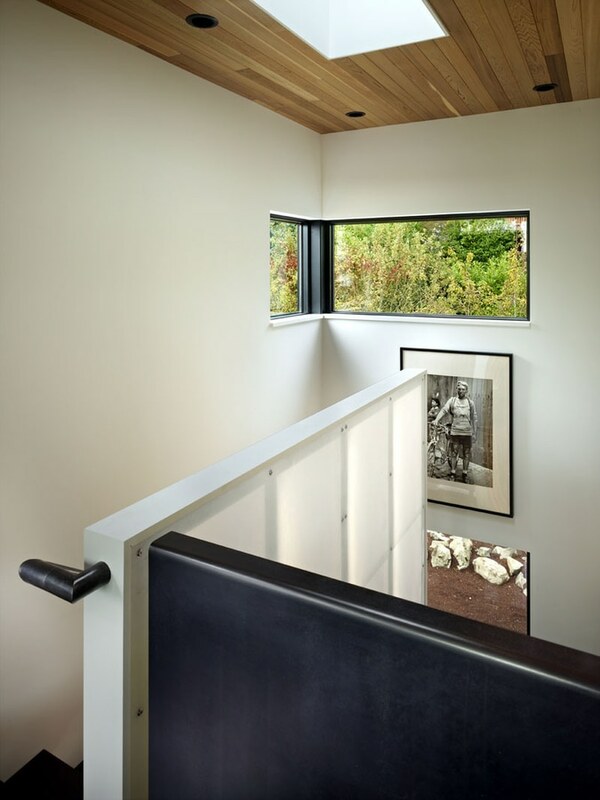 At the top of the stairs are a couple of black framed windows that provide a view of the trees, while above, a skylight adds natural light to the stair well. 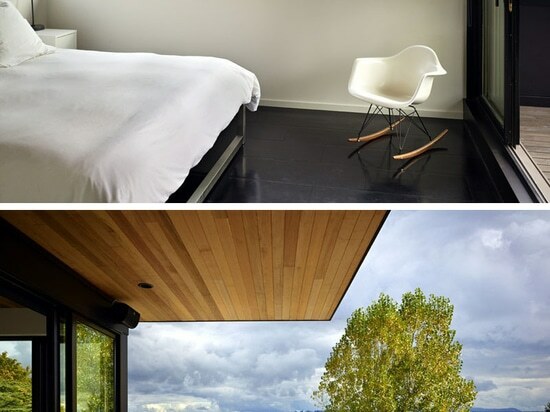 In the bedroom, a color palette of black and white is complemented with warm wood accents. 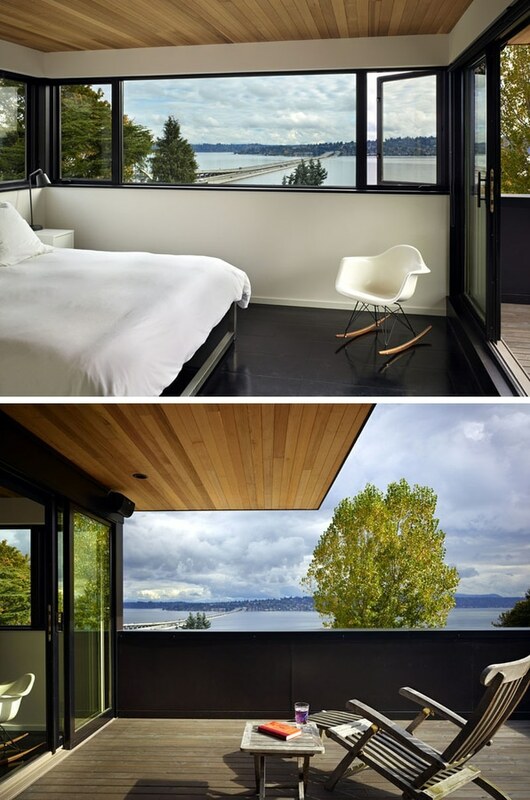 The cantilevered roof provides a covered space for outdoor lounging. 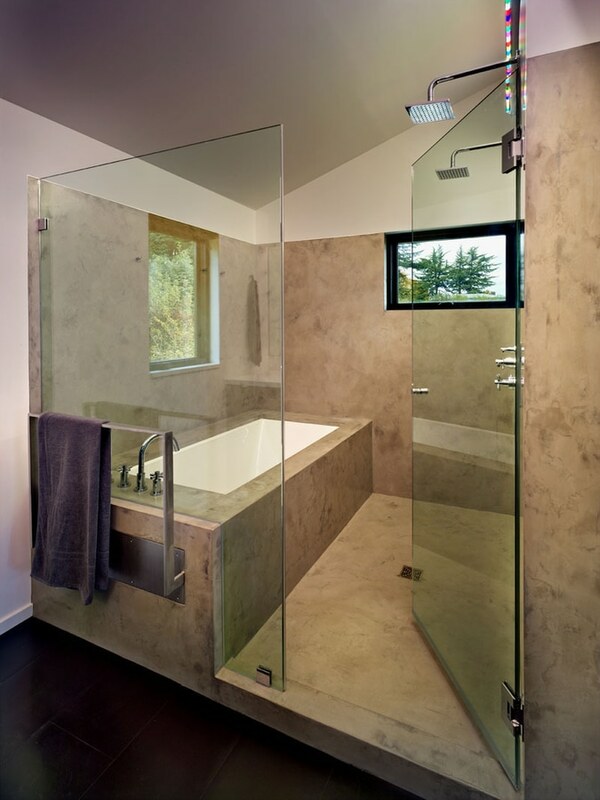 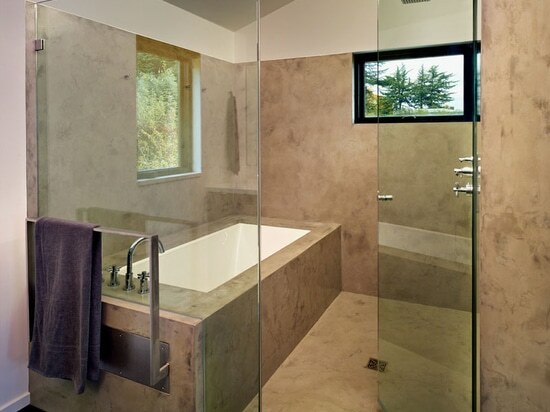 The master bathroom incorporates the shower and built-in bathtub into a frameless glass enclosed wet room. 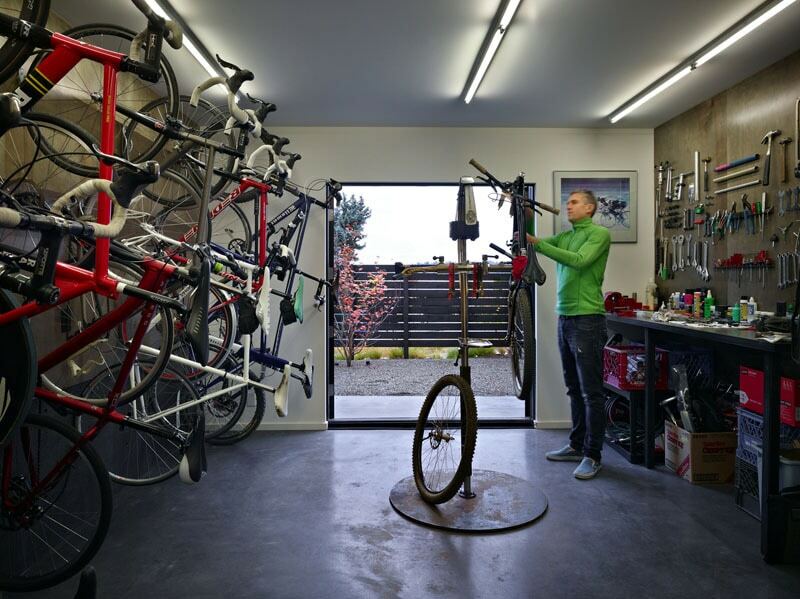 The house also has a dedicated bike workshop for the storage and maintenance of the client’s 18 bikes. 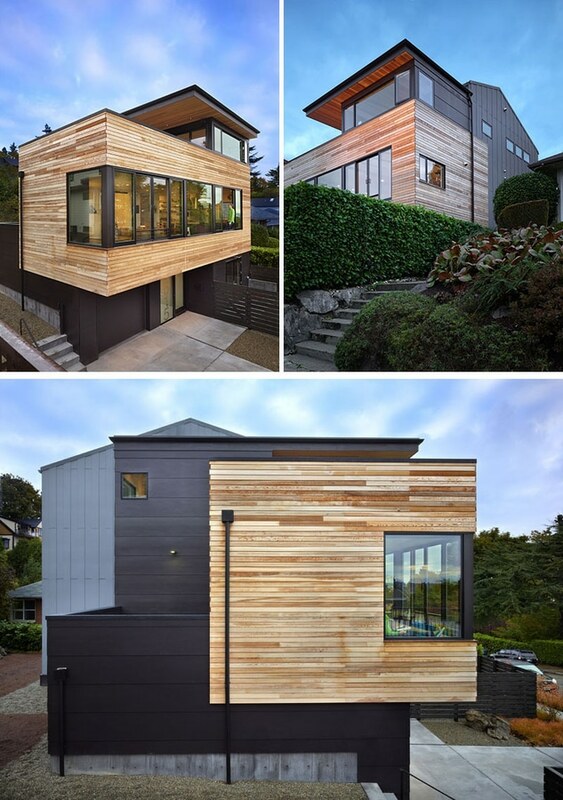 The workshop opens to an enclosed yard.